sabulose (SAB-yew-lohz) Growing in or pertaining to sandy places. saccharinus, -a, -um (sak-ka-RYE-nus) Sweet. saccatus, -a, -um (sak-KAY-tus) Pouch- or bag-shaped; saccate. Saccolabium (sak-koh-LAY-bee-um) A genus of four small-flowered epiphytic orchid species of Southeast Asia, related to Vanda and Ascocentrum. Established by Blume in 1825, the name alludes to the baglike shape of the lip; rarely cultivated, it has been confused with many vandaceous genera. sagittatus, -a, -um (saj-it-TAY-tus) Shaped like an arrowhead, with the basal lobes directed downward. salinus, -a, -um (sal-LYE-nus) Growing in salty places; saline. Sander, H.F.C. (1847—1920) Founder of the English orchid firm of Sander, he was an ardent importer of many new species and fine varieties through his employment of many famed plant collectors. sanctus, -a, -um (SANK-tus) Holy. sanguineus,-a, -um (sang-GWIN-ee-us) Blood-colored; blood-red; sanguine. sanguinolens (sang-gwin-OH-lenz) Approaching blood color. sanguinolentus, -a, -um (sang-gwin-oh-LEN-tus) Having blood-red spots or veins. sapidus, -a, -um (SAP-id-us) Pleasant to taste; sapid. saprophyte (SAP-roh-fite) A plant growing in and deriving most of its nourishment from decaying organic matter, often apparently lacking in chlorophyll. saprophytic (sap-roh-FIT-ik) Pertaining to a saprophyte. 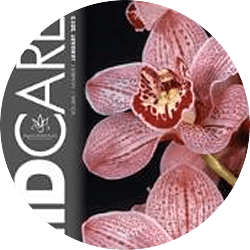 sarcanthine (sar-KAN-theen) An adjective referring to any Asiatic monopodial orchid, more inclusive than the similarly applied "vandaceous." Sarcochilus (sar-coh-KYL-us) A genus of approximately 20 species of diminutive epiphytes restricted to Australia and New Caledonia, including the orange blossom orchid of Australia, Sarcochilus falcatus. Brown founded the genus in 1810, deriving the generic name from two Greek words meaning "flesh" and "lip" due to the fleshy lip observed in the type specimen. sarcodes (sar-KOH-deez) Of fleshlike substance. Sarcoglottis (sar-ko-GLOTT-is) There are some 50 terrestrial species in this genus widespread throughout the West Indies, Central and South America. Presl described the genus in 1827, deriving the generic name from two Greek words meaning "flesh" and "tongue" to denote the fleshy lips found in these flowers. sativus, -a, -um (sa-TYE-vus) Cultivated. Satyrium (sa-TEER-ee-um) There are close to 100 terrestrial species in this African genus spread throughout tropical and South Africa. Swartz established the genus in 1800, naming it possibly for the Satyri, Greek demigods, or since the word also means "man orchid" it could denote the Greek belief that the tubers had aphrodisiac properties. saxicolus, -a, -um (sax-IK-oh-lus) Growing on rocks; saxicolous. scaber, scabra, scabrum (SKAY-ber) Rough; scabrous. scabrous (SKAY-brus) Rough; feeling roughish or gritty to the touch. scale (skayl) (1) A name given to many kinds of small, modified leaves or bracts. (2) One of a number of kinds of minute sucking insects which attack the stems and leaves of orchid and other plants, the adult scales being flattened, disk-like and immobile. scalloped (SKAL-lopd) Crenate, with rounded teeth. scape (SKAYP) An inflorescence of a long peduncle topped with a single flower, as in Cypripedium acaule. Scaphosepalum (skaf-oh-SEE-pa-lum) The 30 epiphytic species in this genus come from tropical America, ranging from Mexico south to Bolivia. 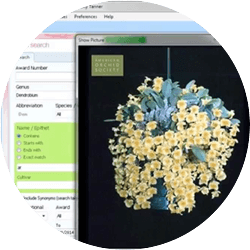 Pfitzer founded the genus in 1888, deriving the generic name from the Greek word meaning "bowl" and the Latin word meaning "sepal" to denote the unusual arrangement of the sepals. like growth and tiny flowers. Scaphyglottis (skaf-ee-GLOTT-is) There are 40 epiphytic or lithophytic species in this genus native to tropical America. Poeppig and Endlicher named the genus in 1835, deriving the generic name from two Greek words meaning "bowl" and "tongue" to denote the bowl-shaped lip. scapiform (SKAY-pih-form) Resembling a scape. scaposus, -a, -um (skap-OH-sus) Bearing or resembling a scape; scapose; often used for racemes or spikes borne on a long peduncle. scariosus, -a,-um (skay-ree-OH-sus) Thin, dry and membranaceous, not green; shriveled; scarious. Scelochilus (skell-oh-KYE-luss) Around 25 small epiphytic species in this genus range from Mexico south to Brazil and Bolivia. Klotzsch established the genus in 1841, deriving the generic name from two Greek words meaning "leg" and "lip," possibly to denote the two hornlike projections on the lip. Schiller, Consul Prominent 19th-century German horticulturist, commemorated by many showy orchid species such as Cattleya schilleriana and Phalaenopsis schilleriana. Schlechter, Friedrich Richard Rudolf (1872—1925) This outstanding German orchidologist and indefatigable systematic botanist was born in Berlin, began as a horticulturist, embarked upon significant botanical explorations to Africa and New Guinea, and collected and described thousands of new orchid species, closing out his life as curator in the Botanical Museum at Dahlem near Berlin. His system of orchids, published posthumously in 1926, established the classification of the family as widely accepted today. His extensive bibliography includes more than 300 papers. Schlimmia (SHLIM-ee-a) The five epiphytic species in this genus are native to the northern Andes. Planchon and Jean Linden named the genus in 1852 in honor of Louis Schlim, a cousin and collector of South American orchids for Linden. Schoenorchis (schoen-ORE-kiss) The 10 epiphytic species in this genus range from the Himalayas southeast to New Guinea. Blume described the genus in 1825, deriving the generic name from two Greek words meaning "reed or rush" and "orchid" to denote the narrow leaves on these plants. Schomburgkia (shom-BERG-kee-ah) A former genus of 20 species of epiphytic orchids from the American tropics and subtropics whose species have been sunk into Laelia and Myrmecophila. The genus was established in 1838 by Lindley, who dedicated it to the German botanist Sir Robert Schomburgk. (1804—1865). Schweinfurth, Charles (1890—1970) Orchidologist whose career at the Ames Orchid Herbarium culminated in the four-volume Orchids of Peru. He is commemorated in many plant names, including the genus Cischweinfia. scion (SYE-on) A shoot used in grafting; a cutting; a descendant. sclerenchymatous (skleer-eng-KIM-uh-tuhs) Having cells with thickened and hard walls. scobicular (sco-BIK-yew-lar) In fine grains like sawdust. scorpioid (SKORE-pee-oyd) Coiled in the bud. scrobiculate (skrow-BIK-yuh-lit) Having shallow depressions. scrotiformis, -e (skro-ti-FOR-miss) Pouch-shaped; scrotiform. sculptus, -a, -um (SKULP-tus) Carved; sculpted. scutellaris, -e (skew-tell-AY-ris) Dish- or shield-shaped. Scuticaria (skoo-ti-KAYR-ee-ah) A genus of seven species of epiphytic orchids from South America. Related to Maxillaria, it was established by Lindley in 1843, the name referring to the whip-like character of the pendent terete leaves. sebosus, -a, -um (seb-OH-sus) Full of grease or tallow. sectile (SEK-til) Cut into small partitions. section (SEK-shun) A taxonomic subdivision of a genus below the rank of a subgenus. secundus, -a, -um (se-KUN-dus) One-sided; borne along one side of an axis; secund. Seden, John (1840—1921) Early English orchid grower and hybridist employed by James Veitch & Sons. His name is commemorated in many of the early hybrids registered by that firm. Sedirea (se-DEER-ee-a) A monotypic monopodial epiphytic genus indigenous to Japan, Korea and the Ryukyu Islands. Garay and Sweet established the genus in 1974, using the anagram of Aerides due to the similarity of the two genera. seed (seed) The ripened ovule; the propagative part of a plant. seed pod (seed pod) Horticultural and botanically incorrect term for the fruit or capsule of an orchid. 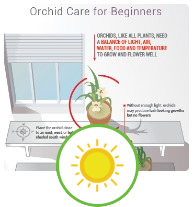 seedling (seed-ling) A young orchid plant from the time it produces its first leaves and roots until the time of its first flowering. segment (seg-ment) A part of the perianth, as the petal, sepal or lip; any division or part of a cleft or divided organ. Seidenfadenia (sye-den-fah-DEEN-ee-a) A monotypic epiphytic genus from Myanmar and Thailand. Garay established the genus in 1972, naming it in honor of Dr. G. Seidenfaden, who spent years studying the orchids of Thailand. selection (see-LEK-shun) The processing of breeding through the choosing of parents with outstanding characteristics for the type with the aim of improvement. Selenipedium (se-lee-ni-PEE-dee-um) A genus of four species of Central and South American terrestrial orchids related to Cypripedium, it was described in 1854 by Reichenbach, the name referring to Selene, the goddess of the moon in Greek mythology. Many species of Phragmipedium were previously placed in Selenipedium. self-fertilization (self-fer-tih-LYE-zay-shun) The fertilization of an ovule by its own pollen (opposed to cross-fertilization); selfing. selfing (self-ing) The pollination of a flower by its own pollen or by pollen from another flower of the same plant. self-pollination (self-pol-in-AY-shun) The pollination of a flower by its own pollen, either through natural means or through the agency of man. selligerus, -a, -um (sel-LIJ-er-us) Saddle-shaped. semi- (seh-mye or seh-mee) A prefix meaning half. 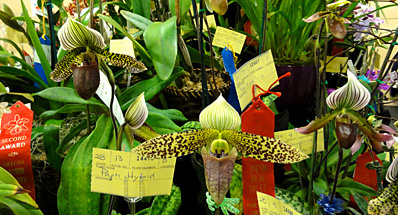 HCC/AOS is a semi-alba orchid. semi-alba (seh-mee-al-ba) A term applied to a white flower that has a colored lip. semi-apertus, -a, -um (sem-ee-ah-PER-tus) Half open, alluding to a flower. semiterete (sem-ee-ter-EET) Applied to hybrid vandas produced by the intergeneric hybrids between terete-leaved Papilionanthe and strap-leaved Vanda. senilis, -e (seh-NIL-iss) Of old people, aged. sepal (SEP-ul or SEE-pul) One of the divisions of the calyx; one of the three parts of the outer whirl of the perianth. sepaline (SEEP-a-leen) Belonging to or consisting of the sepals; resembling a sepal. sepaloid (SEEP-ah-loyd) Resembling a sepal. septate (SEP-tayt) Partitioned; divided by partitions. septicidal (SEP-tih-SYE-dahl) Said of those capsules that dehisce through the partitions and between the locules. Serapias (sir-RAP-ee-as) This Mediterranean-region terrestrial orchid genus consists of about seven species. Linneaus described the genus in 1753, naming it in honor of the Egyptian god Searpias, possibly because some plants are native to Egypt. sericeus, -a, -um (ser-ISS-ee-us) Silky; covered with silky down; sericeous. serratus, -a, -um (ser-AY-tus) Having sharp teeth pointing forward; serrate. serrulatus, -a, -um (ser-yew-LAY-tus) Finely serrate; serrulate. sesquipedalis, -e (sess-kwee-ped-AY-liss) One-and-a-half feet long. sessilis, -e (SESS-il-iss) Attached directly by the base; without a stalk; sessile. setaceus, -a, -um (se-TAY-see-us) Bristlelike or bristle-shaped; furnished with bristles; setaceous. setiformis, -e (set-i-FORM-iss) Bristle-shaped; setiform. setigerus, -a, -um (set-IJ-er-us) Bearing bristles. sexual propagation (seks-yu-hl pra-pa-GAY-shun) The increasing of a plant population through the production and growth of seed. shading (SHAY-ding) The act of reducing the amount of sunlight entering a greenhouse by means of translucent panels, semi-opaque paint, or opaque screen; a substance or material used for such purpose. shaker (SHAY-ker) A mechanical table or rotating wheel used in micropropagation to break up and encourage the growth of callus tissue. sheath (sheeth) A protective leaflike growth that envelopes the stem; especially the flattened covering that protects the developing inflorescence in genera such as Cattleya. shoot (shoot) The part of the plant derived from the plumule of the embryo, usually comprising stem and leaves. shrub (shrub) A woody plant that remains low and branches from the base. siculiform (sik-YUH-ih-form) Having the shape of a dagger. siculiformis, -e (sik-yew-li-FORM-iss) Shaped like a dagger; siculiform. Sievekingia (siv-KING-ee-a) A genus of 15 species of tropical American epiphytes, related to Paphinia. It was established by Reichenbach in 1871, the name commemorating Dr. Sieveking, a burgermeister of Hamburg, Germany. Sigmatostalix (sig-mat-oh-STAY-liks) A genus of 35 species of tropical American epiphytic orchids found from Mexico to Bolivia, it is related to Oncidium; described in 1852 by Reichenbach, the name alludes to the sigmoid or s-shaped appearance of the column and lip. sigmoid; sigmoidal (SIG-moyd; sig-MOY-dal) Curved in two directions, like the letter S.
signatus, -a, -um (sig-NAY-tus) Well-marked. siliceus, -a, -um (si-LISS-ee-us) Growing in sand; siliceous. silvestris, -e (sil-VES-triss) Growing in woods. similis, -e (SIM-ill-iss) Similar; like. simple (SIM-puhl) Not compound; of one piece. sinensis, -e (si-NEN-sis) Native of China; Chinese. sinistrose (SIN-is-trohs) Turned to the left. sinuatus, -a, -um (sin-yew-AY-tus) Having the outline or the margin strongly wavy; sinuate. sinus (SYE-nuss). The cleft or recess between two lobes. Skinner, George Ure (1804—1867) An outstanding English collector of plants in Guatemala, he introduced nearly 100 species of orchids into horticulture, many of his discoveries being illustrated in Bateman's Orchids of Mexico and Guatemala. slab (slab) A plaque or similar vertical mount for the growing of an epiphytic orchid. Smith, Johann Jacob (1867—1947) One of the greatest of modern orchidologists, he was born in Antwerp, Belgium, studied horticulture, and became associated with the Botanic Garden at Buitenzorg in Java, where he spent 30 years. His outstanding works, including an eight-volume work on the orchids of Dutch New Guinea, were orchid floras of Java, Sumatra and Amboina, as well as lllustrations of Malayan Orchids. Smitinandia (smi-tin-AND-ee-a) The three epiphytic species in this genus are found from Southeast Asia to Sulawesi. Holttum described the genus in 1969, naming it in honor of Tim Smitinand, co-author of the Orchids of Thailand. smooth (smooth) A surface that has no hairiness, roughness or pubescence. Sobennikoffia (so-ben-ee-KOF-ee-a) The three species in this genus from Madagascar may be epiphytic, lithophytic or terrestrial. Schlechter founded the genus in 1925, naming it in honor of his wife, whose maiden name was Sobennikoff. sobole (SO-bowl) A shoot, usually originating from the base. soboliferous (so-buhl-IF-er-us)Having vigorous basal shoots. Sobralia (so-BRAL-ee-ah) A distinctive genus of 95 species of terrestrial and lithophytic orchids from Mexico, Central and South America, it is characterized by its reedlike stems, plicate leaves and Cattleya-like flowers; it was founded in 1794 by Ruiz and Pavon in honor of the Spanish physician Dr. Francisco Sobral. socialis, -e (so-see-AY-liss) Forming colonies. solaris, -e (so-LAY-ris) Growing in sunny places. Solenidium (sol-en-EED-ee-um) There are possibly two epiphytic species in this genus from Colombia and Venezuela and Brazil. Lindley described the genus in 1846, deriving the generic name from the Greek word meaning "small canal" in reference to the claw on the lip. solitary (SOL-i-ter-ee) Borne singly or alone; an inflorescence of one flower. somaclonal variant (som-a-KLONE-uhl VAHR-ee-ent) A sport that arises in plants regenerated from tissue culture. Sophronitella (sof-roh-NIT-ell-a) The single species in this genus comes from Brazil. Schlechter founded the genus in 1925, using the diminutive form of Sophronitis due to the close relationship of the two genera. Now the single species is correctly, Isabelia violacea. Sophronitis (sof-roh-NYE-tiss) A former genus of six species of dwarf epiphytic orchids from Brazil and Paraguay. It was described by Lindley in 1824, the name alluding to the modest size of the plants. These species are now part of Cattleya. sordidus, -a, -um (SOR-did-us) Dirty; usually meaning dull-colored; sordid. sparsus, -a, -um (SPAR-sus) Few; far between; sparse. spathaceous (spa-THAY-shus) Resembling or having a spathe. spathe (SPAYTH) A large, stiff, usually leathery bract or pair of bracts subtending or enclosing an inflorescence. Spathoglottis (spath-oh-GLOT-tiss) A genus of 30 species of terrestrial orchids distributed from northern India and southern China through Australia and New Caledonia and naturalized elsewhere in the tropics, especially Hawaii. It is allied to Calanthe and Phaius; described by Blume in 1825, the name alludes to the shape of the lip of the flowers. spathulatus, -a, -um (spath-yew-LAY-tus) Shaped like a spoon or spatula, round at summit and narrow at base; spatulate. specie (SPEE-see) Gold coin; not the singular of species. species (SPEE-sheez) (sing. and pl.) A group of plants (or animals) showing integration among its individuals and having in common one or more characteristics that definitely separate it from any other group; a kind of plant distinct from other kinds; a group of interbreeding individuals usually unable to interbreed with other groups. specific (speh-SIF-ik) Of or pertaining to a species. specimen (speh-SIH-men) An individual exemplifying a group; a specimen plant is a noteworthy example of cultivation to an unusually high degree; a herbarium collection. speciosissimus, -a, -um (spee-see-oh-SISS-i-mus) Eminently handsome, uniting elegance of form and brilliancy of color. speciosus, -a, -um (spee-see-OH-sus) Handsome in form and color; showy; fair. spectabilis, -e (spek-TAB-il-is) Deserving especial notice by reason of intrinsic worth; spectacular. speculum (SPEK-yew-lum) A mirror or reflector, especially one of polished metal. spermatophyte (spur-MAT-oh-fite) A seed-producing plant. sphacelatus, -a, -um (sfass-ee-LAY-tus) Scorched; dead; diseased; some part looking withered; sphacelate. sphagnum (SFAG-num) A bog-moss of the genus Sphagnum, used dried or alive, fresh or partially decomposed (peat), in some kinds of potting media to retain moisture. spheroidal (sfeer-OY-dul) A solid that is nearly spherical. Sphyrarhynchus (sfeer-rah-RING-kuss) There is one, possibly two, epiphytic species in this Tanzania genus. Mansfield described the genus in 1935, coining the generic name from two Greek words meaning "hammer" and "beak" to denote the shape of the rostellum. spicatus, -a, -um (spy-KAY-tus) Bearing flowers arranged in or resembling a spike; spicate. spiciformis, -e (spye-sih-FOR-miss) In the form of a spike; spiciform. spiculatus, -a, -um (spik-yew-LAY-tus) With a small, fleshy and erect point; spiculate. spiculose (SPIK-yuh-lohs) Covered with fine points on the surface. spike (spike) A type of inflorescence with stalkless (sessile) or short-stalked flowers borne on an upright unbranched flower stem. spiklet (spike-let) A small secondary spike. spilopterus, -a, -um (spy-LOP-ter-us) Having spotted wings. spine (spine) A sharp-pointed hard or woody outgrowth on a plant. spinescent (SPY-ness-ent) Terminated in or bearing a spine. spinosus, -a, -um (spy-NO-sus) Having spines; spiny; spinose. spinulosus, -a, -um (spy-new-LO-sus) Having small spines; spinulose. spiralis, -e (spy-RAY-lis) Spiralled; having flowers arranged in a spiral. Spiranthes (spy-RAN-theez) A genus of 50 species of terrestrial orchids widely distributed in the temperate zones of both hemispheres. It was founded by L.C. Richard in 1818, the name referring to the spiraled arrangement of the flowers in many species. Recent studies have removed most Neotropical species to a number of other genera such as Sarcoglottis and Stenorrhynchos. splendens (SPLEN-denz) Showy and handsome; radiant or shining; lustrous; splendid. splendidus, -a, -um (SPLEN-did-us) Magnificent; superb; glorious; splendid. spore (spore) A simple reproductive body, usually composed of a single detached cell and containing no embryo. sport (sport) (1) A sudden spontaneous deviation from a typical form; a mutation; (2) a plant or part of a plant that arises through mutation and is phenotypically different from the parent. 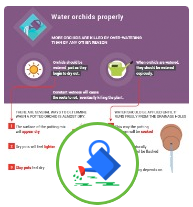 spray (spray) (1) To scatter a liquid or powder in the form of fine particles; a substance used for spraying (referring either to watering of plants or to the application of pesticides); (2) a term for an inflorescence. spreading (SPREH-ding) Extending outward or horizontally over a relatively large area; diverging; said of floral segments that diverge to present a wide open flower. spur (spuhr) A hollow, saclike or tubular extension of the base of the lip, often bearing nectar. squalens (SKWAL-enz) Dirty; becoming dull in color; squalid. squalidus, -a, -um (SKWAL-id-us) Dirty; usually applied to flowers of dull color. squamellate (SKWAM-ell-eyt) Having tiny scales. squamosus, -a, -um (skwam-OH-sus) Covered with scurf; having a rough or ragged surface. squarrose (SKWAR-rohs) With parts spreading or recurved at ends. stachys (STAK-iss) In Greek compounds, signifying a spike. stalk (stawk) The supporting stem of an organ, such as petiole, peduncle, pedicel, filament or stipe. stamen (STAY-men) The male organ of the flower, which bears the pollen. staminate (STAM-in-ayt) Male; having stamens only. staminode (STAM-in-ohd) A sterile stamen, or any structure (without anther) corresponding to a stamen. Stanhopea (stan-HOPE-a, although usually mispronounced stan-HOPE-ee-a) A genus of 55 species of epiphytic orchids from the American tropics related to Gongora and Coryanthes. Described by Frost in 1829, the name honors the Right Honorable Philip Henry, fourth Earl of Stanhope, then just elected president of the London Medico-Botanical Society. has flowers that resemble a Stapelia. stapeliaeflorus, -a, -um (stap-ee-lee-aye-FLOR-us) Having flowers like a Stapelia (Asclepiadaceae). stapelioides (sta-pee-lee-OY-deez) Resembling a Stapelia (Asclepiadaceae). Staurochilus (star-oh-KYE-luss) There are about a dozen epiphytic monopodial species in this Southeast Asian genus ranging from the Himalayas east to the Philippines and south to Borneo. Ridley described the genus in 1896, deriving the generic name from two Greek words meaning "cross" and "lip" to denote the shape of the lip. stele (STEE-lahy) An axial cylinder of vascular tissue; the primary arrangement of a vascular system. Stelis (STEE-lis) A genus of 370 species of minute-flowered epiphytic orchids from the American tropics and subtropics characterized by greatly reduced petals and lip. Related to Pleurothallis and Masdevallia, it was established in 1899 by Swartz, the name alluding directly to the epiphytic habit of the genus. stellatus, -a, -um (stell-AY-tus) Star-shaped; resembling a star; stellate. stem (stem) The main axis of a plant, bearing leaves and flowers; distinguished from the root-bearing axis. Stenia (STEEN-ee-a) This genus consists of eight epiphytic species native to Central America and northern South America. Lindley identified the genus in 1837, deriving the generic name from the Greek word meaning "narrow" to denote the slender pollinia in this genus. Stenoglottis (sten-oh-GLOT-tiss) A genus of four species of terrestrial orchids from Africa related to Habenaria. It was described in 1836 by Lindley, the name apparently referring to the narrow irregular lobes of the lip. stenophyllus, -a, -um (sten-oh-FILL-us) Narrow-leaved. Stenorrhynchus (sten-or-RING-kuss) The 60 terrestrial species in this genus come from the West Indies, Central America and tropical and temperate South America. Richard identified the genus in 1818, deriving the generic name from two Greek words meaning "narrow" and "snout" in reference to the flower's narrow rostellum. sterile culture (STER-ill kuhl-chure) The growing of organisms under laboratory conditions in an aseptic environment. stigma (STIG-ma) That part of the pistil of a flower that is receptive to pollen. stigmatic (stig-MAT-ik) Pertaining to the stigma. stipe (stipe) The stalklike support of a pistil or other small organ such as a pseudobulb or pollinium. stipitatus, -a, -um (stip-i-TAY-tus) Having a stipe; stipitate. stolon (STOH-lon) An above-ground creeping stem producing roots or new shoots, usually giving rise to new individuals. stoloniferous (sto-lon-IFF-er-us) Producing or bearing stolons. Stolz, Adolf (1871-1917) Early 20th-century German missionary and plant collector in the former German East Africa (Nyassaland), commemorated in the genus Stolzia. Stolzia (STOLST-ee-a) The 15 epiphytic, rarely lithophytic, species in this genus are native to tropical Africa. Schlechter named the genus in 1915 in honor of Adolf Stolz, a German missionary in Africa. stoma (STOH-mah); pl. stomata (sto-MAH-tah) A pore or aperture in the epidermis of leaves and some stems, surrounded by crescent-shaped guard cells and facilitating gas exchange. stramineus, -a, -um (stra-MIN-ee-us) Strawlike or straw-colored; stramineous. stratiotes (strat-ee-OH-teez) Soldierly; resembling Stratiotes, an aquatic herb with sword-like leaves. streptopetalus, -a, -um (strep-toh-PET-a-lus) With twisted petals. striatus, -a, -um (stry-AY-tus) Striped; marked with longitudinal lines, grooves, or ridges; striate. strictus, -a, -um (STRIK-tus) Very straight and upright; erect. strigosus, -a, -um (strig-OH-sus) Set with stiff bristles; hispid; strigose. striolatus, -a, -um (stry-oh-LAY-tus) Somewhat or faintly striped, or with fine lines. strobilus (STROH-bil-us) An inflorescence with imbricate scales like a cone. structural gene (STUK-chure-uhl jeen) A gene that codes for an enzyme or other protein required for the structure or metabolism of a cell. stylar canal (STY-lahr KAN-al) A tube connecting the stigmatic surface with the ovary that allows the pollen tubes grow down into the ovary and thus fertilize the ovules. style (STY-uhl) The narrowed portion of the pistil that connects the ovary and the stigma, not usually applicable to orchids. stylidium (pl stylidia) (sty-LID-ee-um) An appendage to the column, typical of most Bulbophyllum, usually filiform and less pronounced than structures referred to as column wings. suavis, -e (SWAH-viss) Sweet-scented; agreeable; delightful. suavissimus, -a, -um (swahv-ISS-i-mus) Very fragrant. sub- A prefix denoting an approach to the condition designated; nearly. subacute (sub-a-KEWT) Somewhat or partially acute. subcordatus, -a, -um (sub-kor-DAY-tus) Almost heart-shaped; subcordate. subcoriaceous (sub-kor-ee-AY-shus) Somewhat or approaching leathery in texture. subequal (sub-ee-KWAL) Nearly equal in size. suberect (sub-ee-REKT) Nearly or almost upright. suberosus, -a, -um (soo-ber-OH-sus) Cork-barked; corklike or corky; suberose. subfalcatus, -a, -um (sub-fal-KAY-tus) Somewhat curved or hooked; subfalcate. subgenus (sub-JEE-nus) One of the divisions into which large genera are sometimes taxonomically divided; between the ranks of genus and section. submersus, -a, -um (sub-MER-sus) Submerged; growing under water. subspecies (sub-SPEE-sheez) Taxonomic category between a species and a botanical variety, referring to a population having minor morphologic differences and a distinct geographic range, abbreviated "ssp. ": e.g., Rhynchostylis gigantea ssp. violacea (Lindl.) Christ. for the Philippine plants of the Indochinese-Borneo species. 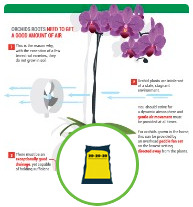 substance In evaluating orchid flowers, the qualities of firmness and durability. substratum (SUB-strat-um) The material upon which a plant or germinating seed grows; substrate. subtended (sub-TEN-ded) Enclosed or embraced in its axil. subterete (sub-ter-REET) Somewhat or imperfectly terete. subterraneus, -a, -um (sub-ter-RAY-nee-us) Underground; subterranean. subtribe (sub-TRY-b) Taxonomic category below a tribe, ending in "-inae": e.g., subtribe Angraecinae is one of the subtribes in the tribe Vandeae. subulatus, -a, -um (sub-yew-LAY-tus) Awl-shaped; more or less cylindrical and tapering to a point; subulate. subulifolius, -a, -um (sub-yew-li-FOH-lee-us) Having foliage shaped like an awl. succulent (suk-YUH-lent) Soft and juicy; fleshy; adapted to the retention of water. sucker (suk-er) A shoot arising from the roots or beneath the surface of the ground. suecicus, -a, -um (soo-EE-sik-us) Native of Sweden; Swedish. suffrutescent (suf-FREW-tess-sent) Said of plants slightly woody at the base. sulcatus, -a, -um (sull-KAY-tus) Grooved or furrowed longitudinally; sulcate. sumatranus, -a, -um (soo-ma-TRAY-nus) Native of Sumatra; Sumatran. Summerhayes, Victor Samuel (1897—1974) English orchidologist whose career was largely devoted to monographic and floristic study of African orchids. Summerhayesia (Sum-mer-HAYZ-ee-a) There are two epiphytic species in this tropical African genus. 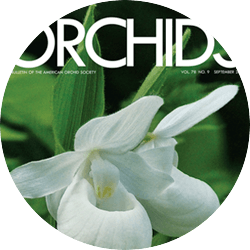 Cribb named the genus in 1977 in honor of Victor Summerhayes, an expert on African orchids. Sunipia (SU-nip-ee-a) The 18 epiphytic species in this genus are native from India east to Taiwan. Smith described the genus in 1816, using a vernacular name from Nepal. super- (SOO-per) Prefix meaning above. superbiens (soo-PER-bee-enz) Becoming grand and stately. superposed (soo-per-POHZD) Placed one on top of another. Superior ovary (SOO-peer-ee-or OH-vah-ree) Said of an ovary that is completely above the attachment of the calyx. supinus, -a, -um (soo-PYE-nus) Prostrate; lying on its back; supine. suture (SOO-cher) A line or groove marking a natural division or union. Swartz, Olof (1760—1818) The first Western orchidologist, he published the first enumeration of West Indian plants, including orchids, in 1788, and the first article devoted exclusively to orchids in 1800, in which he established the two great divisions of the orchid family that later were designated Monandrae and Diandrae. Swamy, B.G.L. Anatomist who laid the groundwork for the study of vascular anatomy and embryology in orchid flowers. 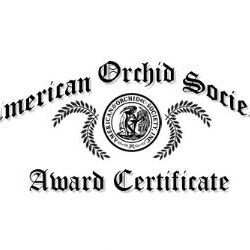 Sweet, Herman R. (1909—1991) Harvard orchidologist who made numerous contributions to Andean orchid taxonomy and monographed Phalaenopsis. sylhetensis, -e (sill-het-TEN-siss) Native of Sylhet, India. sylvaticus, -a, -um (sill-VAT-i-kus) Of the woodlands or forests. sylvestris, -e (sill-VEST-ris) Growing in woods; forest-loving. symbiosis (sim-bi-OH-siss) The living together of dissimilar organisms with benefit to both; in particular, the relationship between certain fungi and orchid seeds germinating in the wild. symbiotic (sim-bi-OT-ik) Referring to symbiosis. symmetrical (sim-MET-rih-cuhl) Said of a flower that is regular as to the number of parts and their arrangement in the perianth. sympetalous (sim-PET-ah-luss) The petals being united, gamopetalous. Symphyglossum (sim-fee-GLOSS-um) A small, possibly monotypic, genus of epiphytic orchids from the Andes of South America. Related to and often merged with Cochlioda, it was described by Schlechter in 1918, the name alluding to the strong adnation of the lip to the column. symphysis (SIM-fiss-iss) Growing together; coalescence. symplesiomorphy (sim-PLEEZ-ee-oh-more-fee) A cladistic term meaning a shared ancestral character state, as opposed to synapomorphy. Cattleya to show the plant parts. sympodial (sim-PO-dee-al) A form of growth in which each new shoot, springing from a bud of the rhizome, is complete in itself and terminates in a potential inflorescence, such as in the genus Cattleya, the plant usually growing in a horizontal direction. synapomorphy (syn-APP-oh-more-fee) A cladistic term meaning a shared derived character state, implying a common phylogenetic history, as opposed to symplesiomorphy (which see). synonym (SIN-uh-nim) A scientific name considered the same as an earlier name for a species of plant or animal, hence superfluous. synsepalum (sin-SEP-a-lum) The ventral portion of the flower of the lady's-slipper orchids formed by the fusion of the lateral sepals; synsepal. syringe (sih-RINJ) To sprinkle or spray lightly with fine jets. syringothyrsus, -a, -um (si-ring-oh-THEER-sus) With trusses of flowers like a lilac. systematics (sis-tuh-MAT-iks) The science of nomenclature, identification and classification of organisms.